With a new world class facility and renewed focus on neck training, Fitzgerald is poised to make a lasting impact. Craig Fitzgerald has had many stops along his journey. He's left his imprint on the strength & conditioning programs at Harvard, Maryland, Penn State, South Carolina and most recently the Houston Texans. Now he brings his talents back to the collegiate ranks as the head strength and conditioning coach at University of Tennessee and he is laying the infrastructure for a successful and sustainable program for years to come. The central piece to building a sustainable program is in proactively reducing the risk of all types of injuries. Fitzgerald's efforts to reduce concussion risk have always been on training his athlete's necks. "When my mom and dad dropped me off at University of Maryland to go to college, my mom said two things: 'Craig, graduate and don't break your neck.' So I've been training neck ever since I became a strength coach." Fitzgerald discovered Iron Neck in 2016 from one of his players. "Brian Cushing actually brought Iron Neck to me and I loved how we could train the neck standing up, it's not a big machine taking up a big footprint and our guys can hit every plane and every motion possible." Fitzgerald had always implemented a partner-assisted manual resistance for the neck but had issues with efficiency and consistency. "It wasted a lot of time because one guy is not training. Plus we can't assure ourselves that it's being done correctly. When you're in charge of your own neck, you're gonna make sure it's done right." 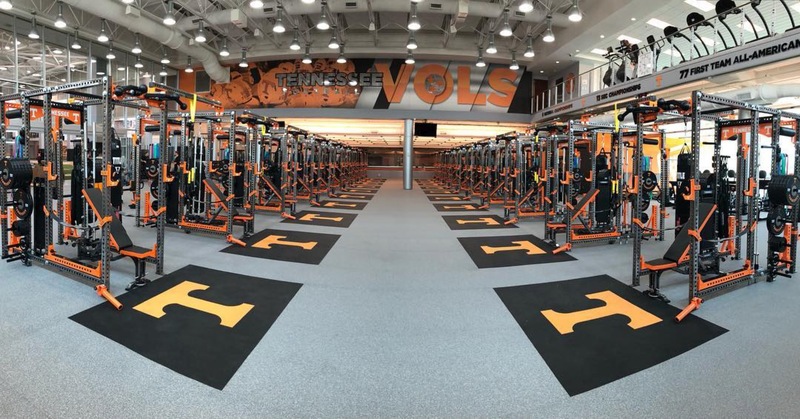 Fitzgerald put an Iron Neck on all ten of his racks in Houston and is doing the same on the 20 Sorinex racks just installed at Tennessee, plus 4 auxiliary stations. "I like neck training to be efficient where you can knock out as many things with one exercise as I can. I wish Iron Neck existed earlier in my career." For Fitzgerald, it's ultimately about positioning his athletes for success. Wherever your college football conference allegiances fall, there's no questioning Fitzgerald has a track record of leaving programs in far better shape than how he's found them. There is no reason to think this will be an exception. See what other coaches, athletes and doctors are saying about how they have incorporated Iron Neck.